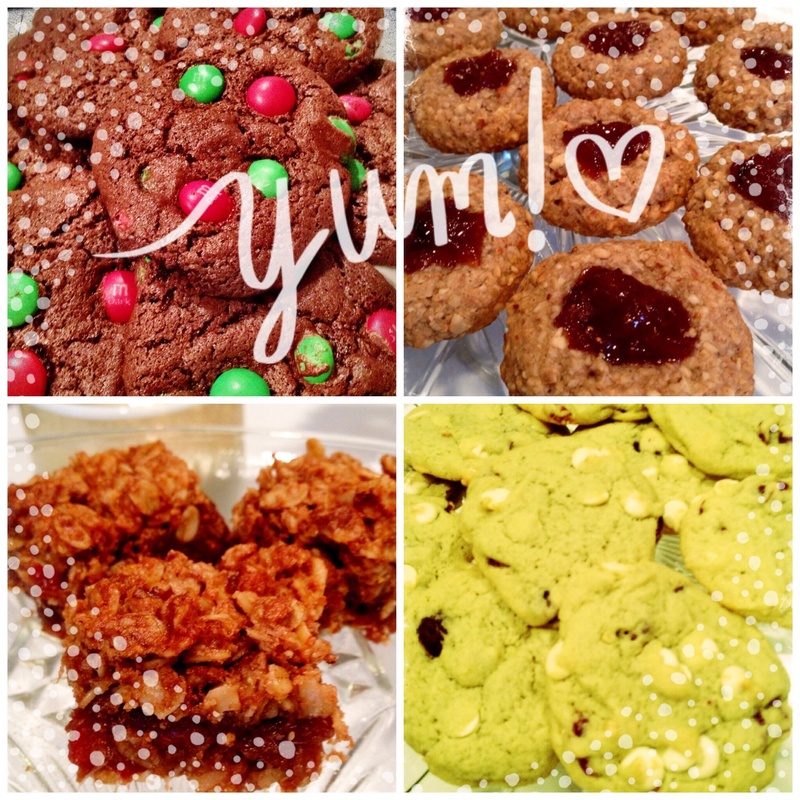 babycupcake's healthy eats | Michelle McGrattan's Delicious & Nutritious Recipes and More! I hope everyone is enjoying their start to summer! We just got back from an amazing trip to Itay and are getting settled back in Calgary. The food in Italy was to die for!!! After two weeks of stuffing our faces with pasta, pizza and gelato it’s back to the grind as summer training has commenced for Brian. In a small bowl whisk the olive oil, lemon juice and agave nectar/honey. 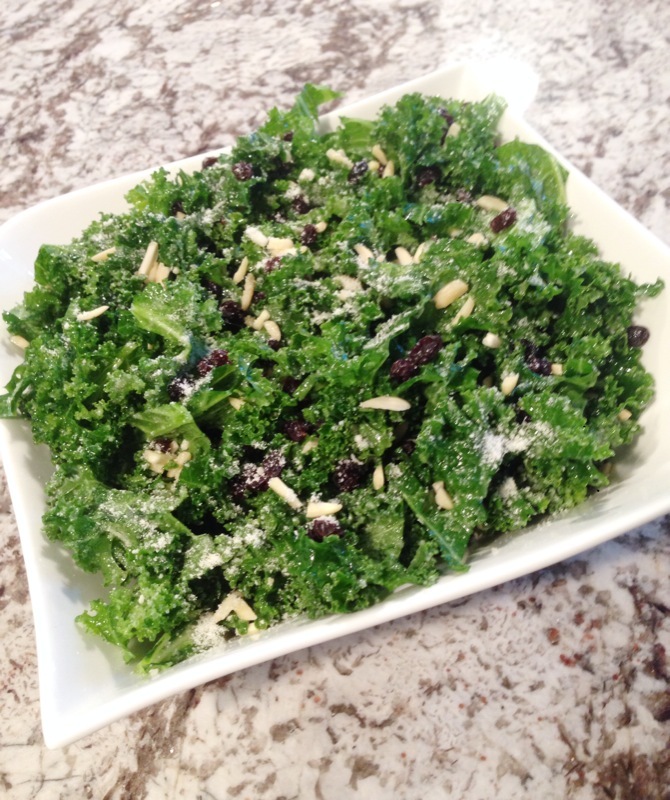 Pour onto the prepared Kale and massage it in with your hands. Add in the Parmesan, currants, almonds, salt & pepper and toss well. If you have time, cover the salad and let it sit in the fridge for 1-2 hours before serving to let the dressing soak in. In a large bowl, mix together the peanut butter (make sure the peanut butter is well stirred) and maple syrup/honey until it thickens. Stir in the coconut flour until combined. If it seems dry add a touch more of maple syrup/honey, or if it’s too runny add a tad more coconut flour. Stir in the crispy rice cereal and shape into small balls. I made about 16. In a small pot, add in the chocolate chips and coconut oil and stir frequently over low heat until melted. Remove from heat. With a fork, dip the balls into the melted chocolate, shake off any excess chocolate and place them onto a plate or cutting board lined with parchment paper. 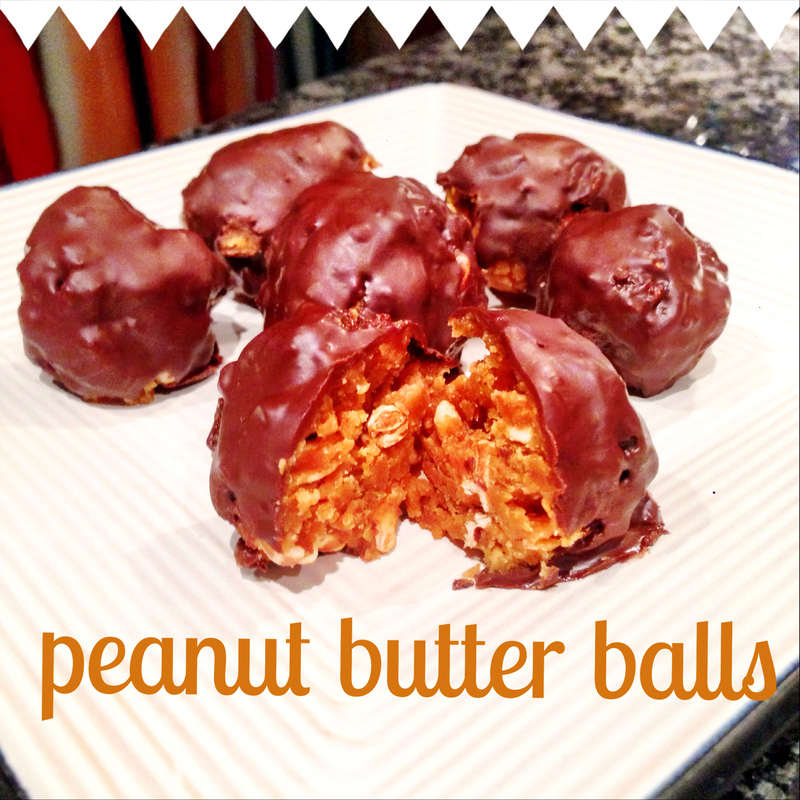 Place balls in the freezer for around 8-10 minutes and enjoy!!! With being busy I still try to create exciting healthy meals for the big man, keeping him full is a full time job in itself ;). I made this a few weeks back it was awesome and super easy! Using a sharp knife, pierce the squash all over. 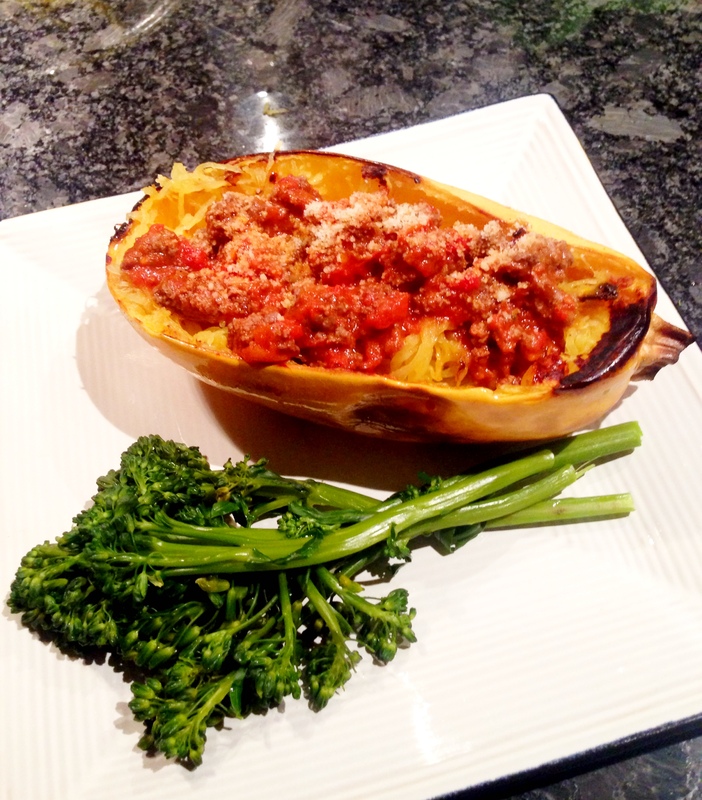 Place the spaghetti squash in a baking dish and roast for about an hour and 15-20 minutes, rotating half-way through. (Note: roasting time may vary slightly depending on size of squash you use.) Let cool. When cool enough to handle, slice in half lengthwise and scoop out the seeds. Scrape squash with a fork to remove in strands. Season with salt & pepper. Spray a large non-stick pan with cooking spray and put onto medium-high heat. Add the celery, carrot, and onion and sauté until translucent. Add 2 cloves of minced garlic and sauté for 1 minute. Add ground bison and cook until browned through and add salt & pepper to taste. Add in the tomato sauce & basil, reduce heat and let simmer for at 5-10 minutes, uncovered. In the meantime bring a large pot filled with water and salt to a boil. Remove and discard the bottom third of the broccolini stems. When the water comes to a full boil add the broccolini and cook over high heat for 2 minutes until the stalks are crisp tender and drain. Heat the olive oil in a saute pan. Add 1 clove of minced garlic and cook over low heat, stirring occasionally, for 1 to 2 minutes. Add the broccolini and stir until heated through and season with salt & pepper. Once the bison and sauce is finished, place over the roasted spaghetti squash and sprinkle with parmesan cheese. Serve on a plate with the sautéed broccolini and enjoy!